 Brazos Fellows kicks off one week from today! As Paige and I make final preparations for next weekend’s orientation, I’ve been reflecting on the purpose of theological study. Why do we study? For what ends? More particularly, why are we inviting six fellows to invest significant time and energy in study? I’ve learned much on these questions from theologian Paul Griffiths, whose essay, “The Vice of Curiosity,” will be the first text we discuss in our Course of Study next week. In this essay, Griffiths explains the theological distinction between the vice of curiosity and the virtue of studiousness. Curiosity—which, traditionally, has a very different meaning from our use today—involves learning in order to gain greater control, while studiousness means learning out of delight. This is why I’m so excited about the Course of Study we’ll undertake in Brazos Fellows. Over nine months, and with the help of a team of tutors and instructors, fellows will immerse themselves in the story of Christianity and seek wisdom from the men and women who went before us. We’ll consider how Christians have thought about important questions—how we read scripture, how we relate to society, and what it means to be embodied creatures. We’ll read selections from a long list of classics, from the poems of George Herbert, to The Sayings of the Desert Fathers, to Basil the Great’s On Fasting and Feasts, to scriptural commentary by Augustine, Calvin, and Aquinas, and much more. This study will often be hard work! But it will be work that isn’t aimed at obtaining professional qualifications, status, or a sense of our own achievement. My hope is that we will study not to build ourselves up, but out of delight in the story Christ is telling through his church, and with great gratitude for the gift of sharing in what God already knows. Would you pray for the Brazos Fellows as we begin our study together? Ultimately, all study aims at growing in love of God and neighbor. Would you ask God to deepen fellows’ loves as they read and discuss? Would you ask God to make our study fruitful for his kingdom? Of course, theological study is only one component of the fellows program. We also appreciate your prayers for fellows as they take on spiritual disciplines of prayer and service, explore their calling through vocational discernment, and commit to Christian community together. In future blog posts, I’ll highlight these other ways you can pray for fellows over the next nine months.